The way one inaugurates each new day is important, because the start of anything decisively influences all that comes afterwards. The first step contains the whole journey, for it defines the vibration pattern which will be followed. Each period of twenty-four hours is a miniature of one’s present incarnation. One day also contains the eternity: the infinite is somehow present in it. As a student of philosophy awakens, his mind cannot be left adrift as if it were an airport windsock, freely oscillating according to the changing wind of novelties. Thought-consciousness must be put in action as a practical instrument, used and directed by one’s voluntary consciousness. The mind is not our teacher: it is our tool. It must be stronger than the emotional winds or the tides of physical facts, and this can be established as a fact in the morning. To wake up early is better. At evening, lighter and easier tasks should be done. It is correct to follow the rhythms of Nature. The magnetism of sunrise is full of vitality and highly favourable to the student of esoteric philosophy. It is correct for him to open the day by placing his mind, emotions and the bodily system in line with the most elevated aspects of his life. Upon awakening, the first words in our minds must be a definite and conscious vow that in the coming hours we will act in correct ways, with noble goals and methods, avoiding waste of time and with a balanced and optimistic attitude. Each individual must freely choose or build the best ideas with which to open his day, according to his temperament and evolutionary needs, and taking in consideration the moment he is living. The main goal is to put the mind in an intensified relation to the ideal of human perfection and to noble goals. This will activate and strengthen antahkarana, the bridge between his mortal soul and his immortal spirit. When we awaken having the image and the feeling of a dream, it is worthwhile to identify the result, the lesson, and the insight corresponding to the dreaming activity. One can recover larger fragments of dreams by remaining motionless in the moment one awakens. It is a waste of time to put too much attention in theoretical interpretations. 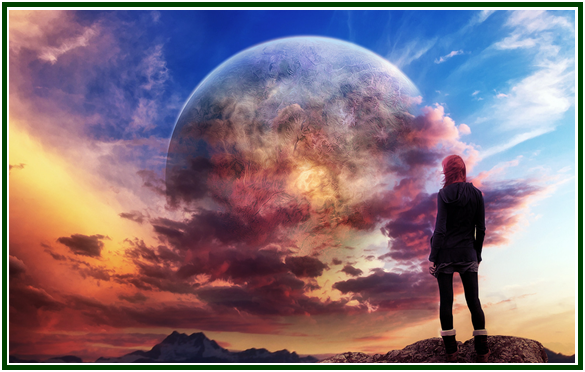 After interacting with the dream, the leading thoughts for the new day should be strongly impressed in one’s mind, establishing the foundations of a bright and productive day. The positive ideas recorded in our brain and in our physical and emotional system will form our aura for the new day. To awaken is to reoccupy our physical body after being absent from it during several hours. Our personal aura is reorganized and put to work on the basis of the first gestures, thoughts, feelings and intentions. We thus build a special atmosphere which will be operating during all the cycle of 24 hours and will influence even the quality of the sleep at the end of the journey. Slow or motionless abdominal exercises have direct effects on the emotional system and pave the way to serenity. To raise the head and shoulders and keep them upwards while lying down on stomach stimulates a sense of peace and self-confidence. The exercises can be made two or three times, one minute each time. Moderation is of the essence. In any comfortable position, even while standing up with open eyes, to keep the whole body absolutely still for one minute or so liberates one from automatisms and strengthens his will. These physical practices must be accompanied by the decided sowing of the ideas one wants to guide and inspire his day. Incorrect ideas must be replaced by correct ones. These are the opening lines of the anonymous article “W.Q.J. - Greatest of the Exiles”. 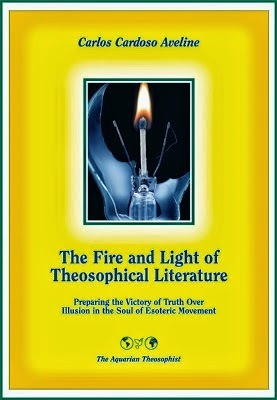 The text was published in the magazine “The Theosophical Movement”, Mumbai, India, March 2007 edition, p. 163.